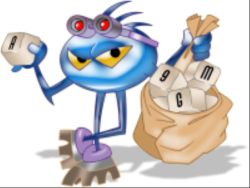 It has been reported that many HP computers have come with an easily accessible keylogger pre-installed. The problem includes both desktops and laptops. HP uses Conexant audio chips on some of their computers. That chip monitors the keyboard for special keys. Presumably, to turn on and off the microphone or use it while in other applications. Inexplicably, it seems a debug mode was turned on that recorded all keystrokes into a simple text file: C:\Users\Public\MicTray.log. This file, being in the public user folder, is easily accessible and could include usernames, passwords, bank account numbers and so forth. HP has responded with updated audio drivers. Link to HP driver support.